The Honda Accord Hybrid is loaded with an incredible amount of technology, alongside presenting one of the most efficient drives in its class. Here's looking at what powers the big, elegant sedan. The Honda Accord has been one of the more coveted premium sedans in the country, ever since launch. 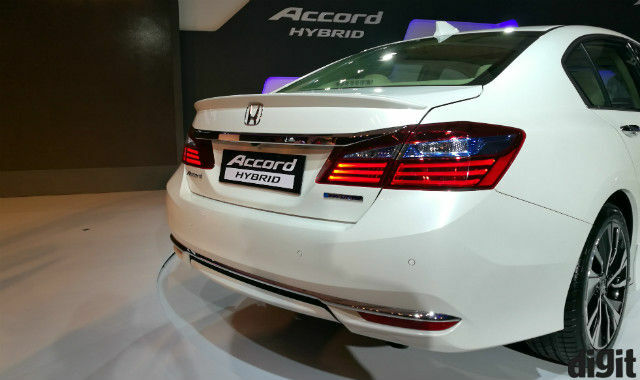 The big, luxurious sedan has now undergone an upgrade of sorts and is now catering to the well-being of the environment with the Honda Accord Hybrid. The new version fuses a 2.0L DOHC i-VTEC Atkinson Cycle petrol engine with two motors to present three drive mechanisms and four drive modes. All of this is further enhanced with two screens on the central consoles that house Apple CarPlay, Android Auto, integrated satellite navigation, MirrorLink and more. Here’s looking at all the technology at play, in the Honda Accord Hybrid. The hybrid drive is powered by a 2.0L i-VTEC petrol engine, along with a generator motor and a propulsion motor fused with the battery to power the premium sedan. There are three drive mechanisms that tune the car’s performance to varying degrees of performance, efficiency and comfort. Here’s looking at how each work. In the EV Drive mode, the 1.3kWh Lithium ion battery powers the propulsion motor to drive the car, giving you an all-electric drive experience. It is the battery here that provides all the driving power to the car, making it ideal for low speed or city cruising. The second drive mode here is aptly named Hybrid Drive. The generator motor initiates the engine, which injects power back into the generator motor. This further powers the propulsion motor, and the battery itself provide power assistance as required. The Hybrid Drive mode has been tuned keeping performance in mind, while efficiency remains on the front foot all along. 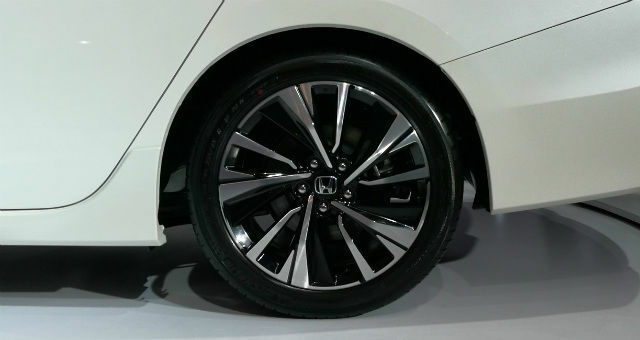 The Hybrid Drive mode, as Honda states, is ideal for mid-speed cruising, for sudden empty stretches in the city. The final mode, that also powers the Sport Mode, is Engine Drive. This is where the engine powers the entire drive, providing dedicated power of 145ps at 6200rpm, and maximum torque output of 175Nm caps at 4000rpm. The propulsion motor also combines with the battery to provide power assist, leading to combined maximum power output of 215ps. 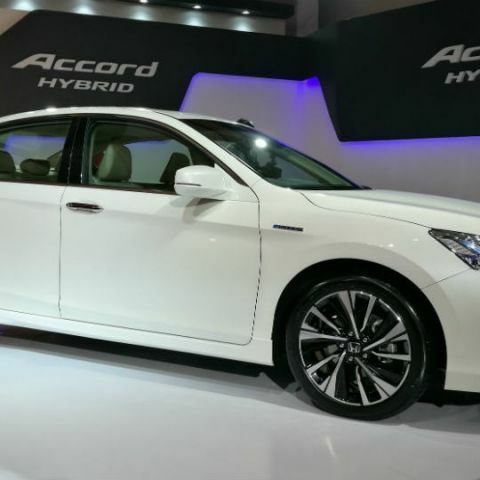 While this means that the Accord Hybrid may not anymore be as powerful and fast as its predecessors, it will still give you an option to drive fast when you wish to. You also get Eco Assist integrated into the instrument cluster - illuminated arcs on the side of the speedometer. This is trained with Honda’s algorithms to give you an indication of how you are driving, and the overall efficiency of your driving. The Eco LED lighting changes colour in accordance to your driving style and efficiency. We are not sure how the mechanism picks up on driving trends, and would love to explore more. The Honda Accord Hybrid is a luxurious car, so naturally, it had to present an overload of the choicest essentials to discerning consumers. To begin with, the in-cabin noise cancellation seems to be quite impressive in a plush cabin with premium materials, and overall NVH should be great. There’s starlight-finished plastic around the leather-wrapped gear knob which gives you the feeling of driving an upmarket vehicle. On the very well-weighted doors, the fabric inlays feel great. The seats are large and comfortable, and have 8-way power adjustment to help you find the right driving spot. The car also gets a dead pedal that can be crucial when automatic transmission cars are concerned. The steering is semi-veneer and semi-leather, and is loaded with controls for the central info display on the instrument cluster and the two infotainment screens. You get cruise control, navigation, mode selection and info display, voice, track control (play, pause, stop, fast-forward, rewind, volume up and volume down) and menu selection. It may even leave you confused for a bit, until you get a proper hang of it. 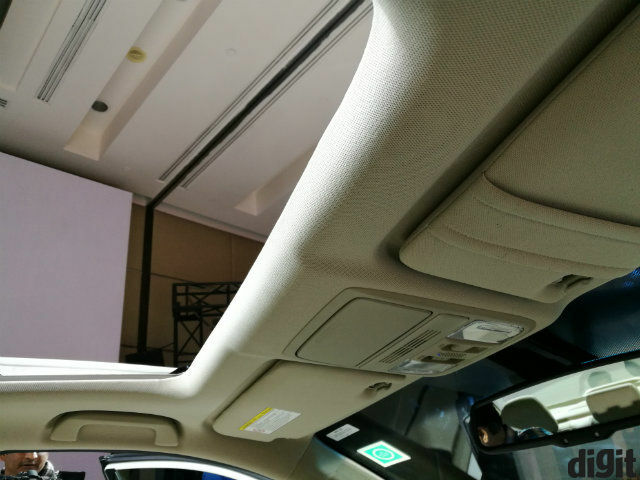 The Accord Hybrid gets a sunroof as well, keeping with its premium quotient. A part of the Honda Accord Hybrid’s tech package is Lane Watch, which optimises the viewing angle of the ORVM to give you wider visibility on the rear sides. 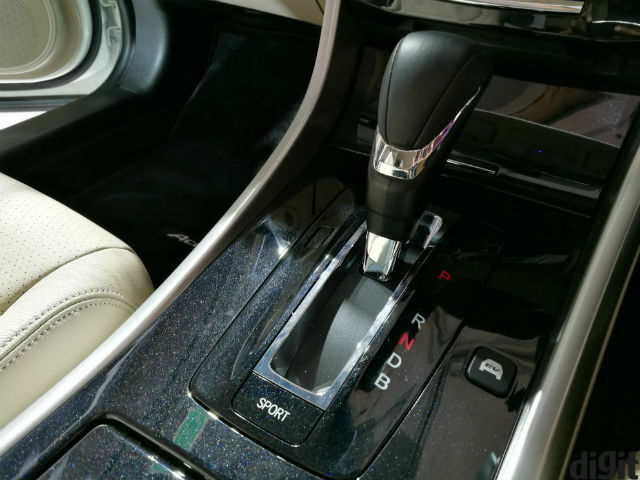 You also get i-Dual Automatic Climate Control, which makes the Honda Accord Hybrid’s air conditioning function more pleasantly, and in individual power to two directions. You also get auto-dimming IRVM, possibly to make sure that you get almost everything that you can think of. The rear seats are large and comfortable, and the thigh support seems great. There’s ample legroom and headroom, which makes sure that three people can sit comfortably at the back. Moving on to the infotainment cluster, the two screens present individual feeds, so it is not necessary any longer to switch between apps. For instance, the upper display shows the integrated navigation feed, so if you are driving a long distance and have your phone synced with Apple CarPlay, the phone screen will appear on the lower display. 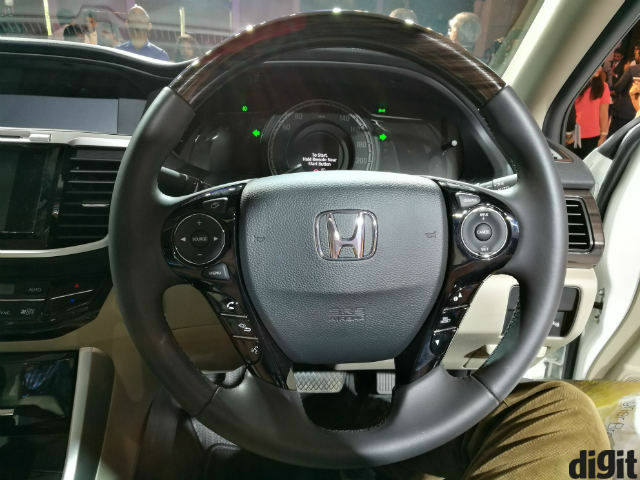 This, Honda states, should enable lesser distractions, particularly considering the extensive steering-mounted controls, and theoretically, it should. The display resolutions look nice, although there may have been room for a higher resolution display on a premium sedan like the Honda Accord Hybrid. 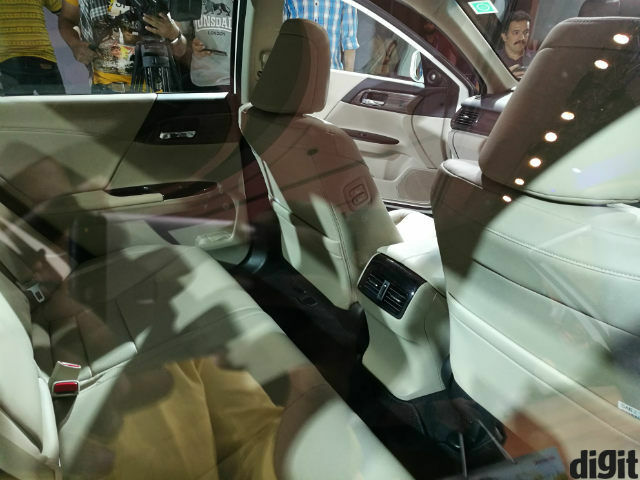 It does look richer than a premium luxury SUV like the Tata Hexa, though. 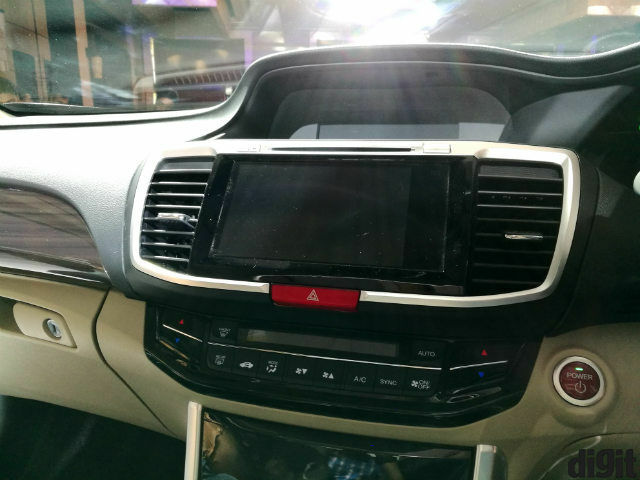 The Accord Hybrid also gets Android Auto and Apple CarPlay, the two smart in-car entertainment ecosystems in extensive use today. It also gets a remote engine start, power charge meter and hill start assist, powered by algorithms that constantly monitor the system. 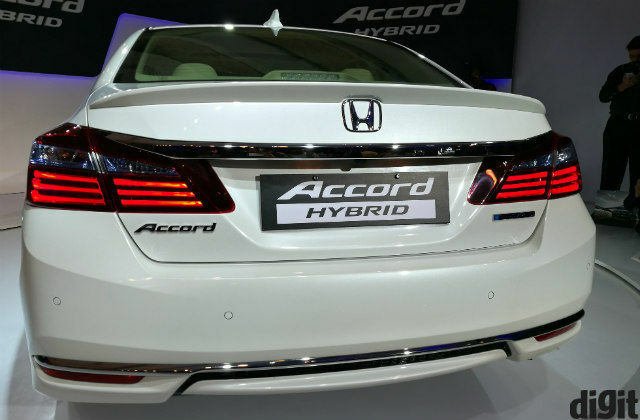 The Honda Accord Hybrid seems to be an incredibly well-decked premium sedan, fusing the best of efficient driving with a host of technology that enhances the experience for drivers and riders alike. It also quotes great efficiency figures of 23.1 kilometres per litre, which seems quite decent for a car of this size. But, what remains to be seen is how its pricing holds in the Indian auto market. As Raman Sharma, Director of Corporate Affair at Honda India states, the market for hybrid and electric cars is just growing in the country, and the high price tag of Rs. 37 lac is because the car is entirely imported to the country, unlike its industry rival Toyota Camry Hybrid, which is assembled in India. The reason for the import is to try out the waters before investing more in hybrid automobiles, so we may expect more competitive pricing from Honda in the future. As for now, the Honda Accord Hybrid seems mighty impressive. what technology is behind WHATZAPP ? Is a computer a technology?